TSP loan rates are much lower than credit card interest rates. 3. What Happens If I Close My Thrift Savings Plan? 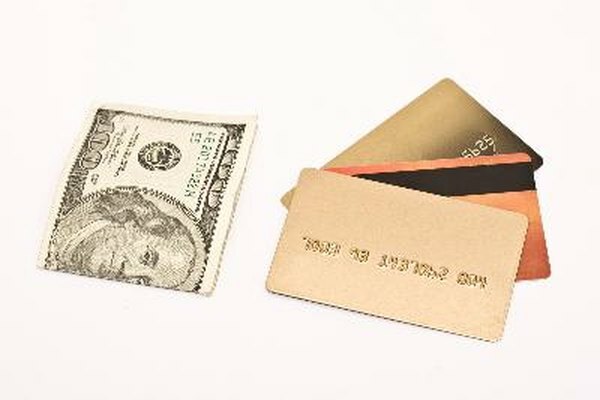 Using a Thrift Savings Plan (TSP) loan to pay off your credit card debt is a pretty straightforward process. The interest you pay, which is the G-fund rate at the time of loan initiation, goes back into your own account. Your only real cost is a $50 administrative fee. This sounds like a good deal on the face of it. But you need to keep in mind that you lose the earnings you would have accrued if you hadn’t taken the loan. In addition, you are double-taxed on the interest – you repay the loan with after-tax dollars, and the funds are taxed again when you withdraw. However, if you want to borrow from a TSP to pay off bills, there a few things you will have to remember. To apply for a loan from your TSP account, you must be an active employee of the federal government or a uniformed military member and you must be in pay status. You are not eligible if you are retired or on extended leave because the TSP deducts loan payments from your paycheck. You also are ineligible if you have another outstanding general purpose loan, or if you have repaid one within the last 60 days. An outstanding or recently repaid residential loan, however, does not affect your eligibility for a general purpose loan. The TSP loan program has a minimum threshold of $1,000. The maximum is $50,000, but certain conditions apply. You cannot borrow more than the total of your own contributions and the earnings on them, minus the highest outstanding balance of any loans from your TSP account within the past year. If you're not sure how much this is in your case, call the ThriftLine at 504-255-8777. Obtaining a TSP loan is a two-stage process that usually takes six to eight weeks. Start by filling out the TSP loan application, Form TSP-20, which you can obtain from your personnel office or from the TSP website, after logging in with your account number. Send the completed form directly to the TSP office listed in the instructions. Do not send it to your personnel office because this will delay the process. Once the TSP office has reviewed and approved your application, you will receive a loan package in the mail. Read and sign the loan agreement, identified as Form TSP-21. If you are married and you participate in the Federal Employees Retirement System (FERS), your spouse also must sign this form. Read and sign the loan payment allotment form, TSP-22. Your spouse has rights to a portion of your TSP account and a former spouse might have rights as well. The FERS program requires written spousal consent, but the Civil Service Retirement System (CSRS) only requires you to notify your spouse of the loan. If you are married but separated and you do not know your spouse’s whereabouts, or if you have exceptional circumstances such as an illness that has rendered your spouse unconscious, you can apply for an exception via the TSP-16 form. If you are divorced or legally separated and the court settlement awards your spouse/former spouse a portion of your TSP holdings, or places a hold against your account for child support or alimony, you might be ineligible for a loan. What Type of Retirement Accounts Can You Borrow From? How Much May I Borrow From My 401(k)?